1 Mix the maida, rice flour with salt and oil, combine to form a crumbly mixture. Now slowly add enough water to make a pliable dough, not too soft. Divide the dough and shape into balls. Keep aside covered with moist cloth for 15-20 mts. 2 While the dough is resting prepare the filling. 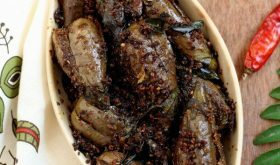 Heat a vessel, add oil, add crushed cumin seeds and asafoetida allow the cumin to brown. Add the ginger-green chilli paste, besan and spice powders and saute for a mt. Add coarsely ground dal and saute for 7-8 mts and turn off heat. 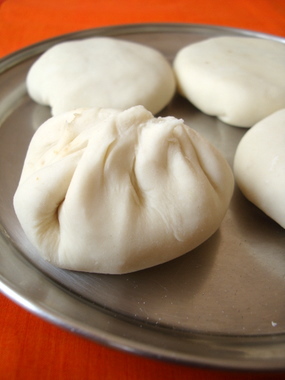 3 Now that the stuffing is ready, prepare the outer layer for the kachori. 4 Roll each ball with the rolling pin into a slightly thick puri and place a tbsp of the filling in the center. 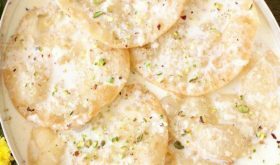 Enclose the filling by gathering the outer edge of the puri to form a pocket. Pinch off extra dough and shape into a flat ball by gently pressing your thumb in the center. 5 Prepare with the rest of the dough in the same manner. Keep them covered through out the preparation process. 6 Heat enough oil in a wide vessel to deep fry the kachoris. Heat the oil till hot but not piping hot. Reduce flame to low medium and drop 2 kachoris into the oil slowly and deep fry them till golden brown, turning them carefully to the other side so that it cooks on both sides and puff up. Deep fry on low heat and not piping hot oil. 7 Remove onto absorbent paper and serve warm along with a cup of chai. Its better to make kachoris in batches. Roll out, stuff and deep fry 2 kachoris at a time. Keep the prepared kachoriss covered through out the preparation process. Your presentation is Awesome and I like all your dishes. The chat menu your presenting these days really rocks. Keep up the good work. Oh my looks awesome…kachori is my most fav. 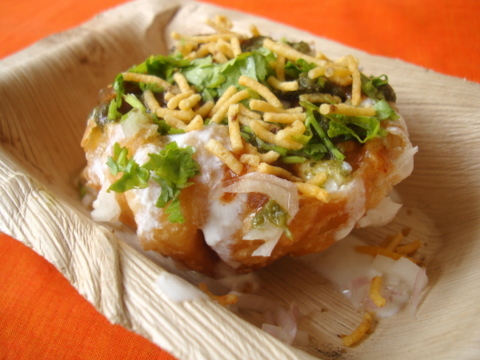 chaat…and it’s really so tempting…bookmarked! Sailu – this looks just exceptionally good! 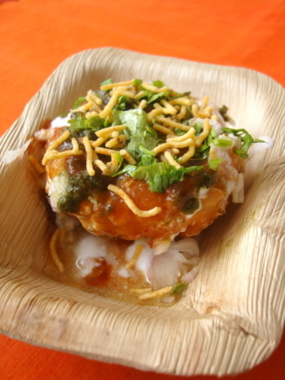 And that chaat with it is awesome! Kachoris are great with this kind of daal filling! 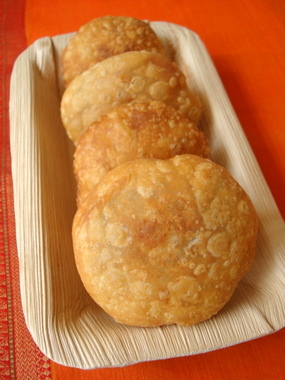 I’m very fond of these kachoris. My mom used to make it for us back in India. Now it’s my turn to learn it. Thanks for sharing the recipe. Wow Sailu, it is like I have to try it out right now… it is that tempting. I love this, will make it soon! 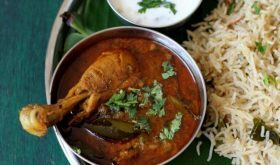 i’ll try it this weekend, i visit ur web site every day, plz post more non-veg recipes. Wow – that looks soooooo tempting and absolutely perfect! now i just have to work up the courage to try it… thanks for sharing. How will I be able to keep up with all of these great recipes? Wow. This looks fantastic! Beautiful recipe and presentation. 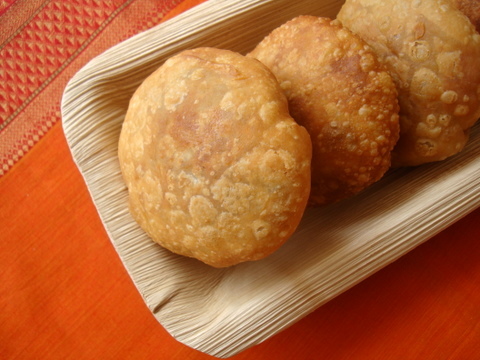 Your post reminds me to make khasta kachori I learned from my friend in Ahmedabad. Love your food blogs. It can be stored for 3 to 4 days at room temperature.. It can be refrigerated for many days. Ohh yes…for almost 10 days 🙂 but in an Air-tight container, whenever u want to serve, just heat them for 5-7 min. in slow oven !!!!!! Wow Sailu garu…ur chaat bhandar is awesome. The pictures of Kachoris inspire me to try this out at home. Thanks for this series on chaat recipes. this one looks very very tempting! hey love the chaats!!! i need to know just one thng, the other day had tried out your recipe of moong dal payasam , but as soon as i put in the jaggery mix the milk split , this has happened for the second time , could you pls tell me why this happens & how i could avoid it?? Yes, you are right, Seema. 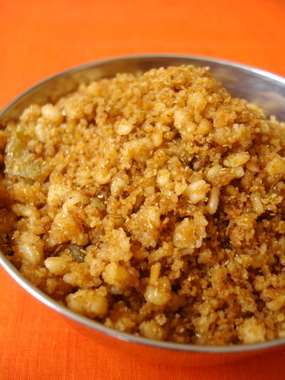 One tip to avoid this is to add a pinch of baking soda to the milk before adding jaggery. Or Make a thin syrup of jaggery in hot water, remove the vessel from heat and pour the jaggery syrup to the milk-dal mixture and combine. Yes, Niru, you can use this same Khasta kachori recipe to go with Aloo Sabji. Here goes the Aloo Sabji recipe ~ Heat oil in a vessel, add pinch of mustard seeds, cumin and fennel seeds and allow to splutter. Add ginger-green chilli paste, saute for a few secs. Add pinch of turmeric pwd, red chilli pwd, coriander pwd and salt and combine. Add a chopped tomato and saute for 4 mts. Add crumbled boiled potato and combine. Add water according to the consistency of gravy required. Add pinch of garam masala pwd and cook covered for 12-15 mts. Garnish with fresh coriander leaves. thanks sailu garu. will definitely try it out. it has been nicely explained and easy to understand,i will surely try this. 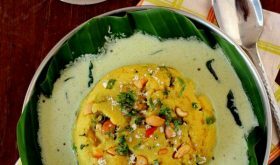 Lovely & very nice khasta kachoris…… I loved the way u have prepared it & that presentation too….. That you served on canut leaf plate is commendable too… I loved them since my childhood…… We call it haale in Mangalore… On the whole loved every bit of this post… & saved it for my future encounters too….. KUDOS!!!!! Can we bake it instead of deep frying it? 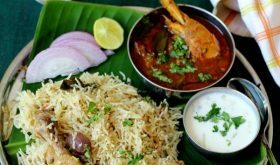 i tried this recipe yesterday…..taste came out well but it appeared some bubbles on the kachories…..please tel me what is the mistake i have done while frying it…. The dough should be firm yet smooth with no cracks. The samosas need to be fried on low medium flame till golden shade. How many days can they be stored. like if i want these for some party can i prepare them a few days before. Can I leave dough overnight in fridge and use in morning?